TonerGreen - Eco-Friendly Toners from the U.S. It's hard finding the perfect printing equipment for you but once you have distinguished the needs then definitely you'll have an easy time figuring out whether to buy a laser printer or inkjet printer. If you happen to be working or in a business environment then it's definitely advisable to use laser printers than inkjet printers. This is because laser printers can print faster than inkjet printers and can offer a higher printing page yield as inkjet cartridges do have. 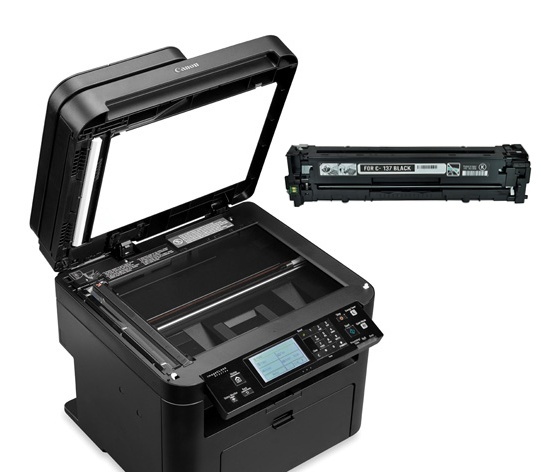 However once you have decided that you already want a laser printer to work with, your faced with another decision whether to buy a single-function laser printer or multifunction printer. First, let's discuss the difference between the two: single-function laser printers are the ones you usually find in the market, those compact and smaller laser printers. Multifunction laser printer on the other hand as the its name suggested can not only print documents, they also have fax, scan, copy and email functions depending on its design. Laser printers are definitely more suited for starting businesses and workgroup since the document workflow on such environment are lesser than in big groups and printing is the only thing that is mostly needed. But if you have a larger workgroup scope then definitely it is much better if you choose multifunction printers. Multifunction printers are undeniably workhorse printers that can pretty much deliver everything you need from printing to faxing, copying, scanning and emailing, these type of printer can definitely bring your works complete. Back to the basics, laser printers rapidly produce high-quality text and graphics via its printer consumables, laser toner cartridges. This type of printer employ a xerographic printing process but differ from analog photocopiers in that the image is produced thru the laser drawing the actual image it processed from the computer on the photo-receptor drum. The photo-receptor drum then transfer the toner powder onto the paper thru heat thus producing the printout itself, thus producing perfect professional-looking document. These qualities are what makes them in demand in business environments. At TonerGreen.com, one of the leading eco-friendly printer supplies retailer, offers a wide range of remanufactured toner cartridges that are price-and-quality-wise. These remanufactured printer cartridges are all made in the U.S. and went under several quality-control tests to make sure they meet or exceed the performance and print quality of those OEM cartridges. Why Buying Remanufactured Cartridges is Good for the Environment? Recycled printer cartridges are technically called “remanufactured printer cartridges”. These remanufactured cartridges are used genuine or OEM (Original Equipment Manufacturer) cartridges that are reprocessed and then refilled with new ink or toner for re-sale hence the terms “recycled cartridges”, “eco-friendly cartridges” and “environmental-friendly cartridges” are given to it. Many go-green trendsetters and green products supporters are becoming interested in these remanufactured cartridges, especially environmentalists-slash-printer-specialists that are working to spread their “Green Printing” campaign with the benefits it provides for our Mother Earth. First, using remanufactured cartridges reduces pollution and waste. Didn’t you know that every year, there are approximately 375 million that ends up thrown in our landfills. And every single one of these cartridges are comprised of 40% plastic, 40% metal, and smaller percentages of rubber, foam, paper and toner. On average, it can take at least 725 years to 1000 years for a single discarded toner cartridge to decompose. On a positive note, 97% of their components can be reused and recycled. Thus, it makes the whole remanufacturing process possible. 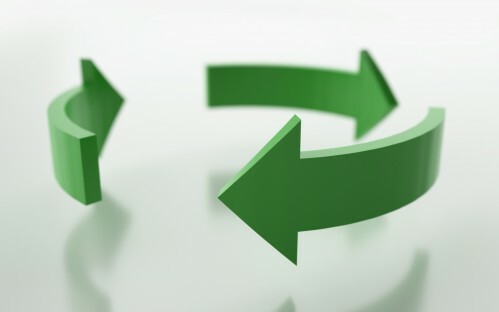 Second, supporting remanufactured cartridges also conserves natural resources by eliminating the need for raw materials used in the production of new cartridges. According to StopWaste.Org, for each pound of new material used in remanufacturing, 5 to 9 pounds of virgin materials are conserved. Buying printer supplies isn't a small deal to consider especially when the amount of money one can spend on it can be used on other important things. Especially for entrepreneurs just starting their businesses, finding ways on how to save on their printing costs would be a big help. That's why TonerGreen blog will give you these following tips on how one can save on their inks and toners consumables to help them cut off on their printing expenses. 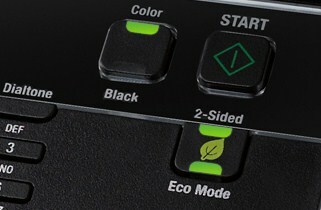 Eco-mode or Econo-mode is a setting you can find on most printers, either inkjet or laser printers, that commands you printer to use minimal amount of ink or toner when printing documents. This is the best way to extend the life of your printer consumables. Though putting this setting may cost a lighter color output of your documents, this works well when you're just printing monochromatic text-based documents. Alternative printer cartridges are the term coined for other printer consumables that are not manufactured by OEM companies. There are two kinds of alternative printer cartridges present in the market nowadays; these are remanufactured printer cartridges and compatible toner cartridges. Both alternative printer consumables cost lower than OEM printer cartridges, often save 40 to 50% of your typical printing expenses. We had featured some of the most eco-friendly printers in this blog but it seems that there's one to add up to them and now it is a printer made out of recycled cardboard, specifically created by Samsung Electronics. It was said that the it was a mono-laser printer that used 100% recycled paper/cardboard to be completed. 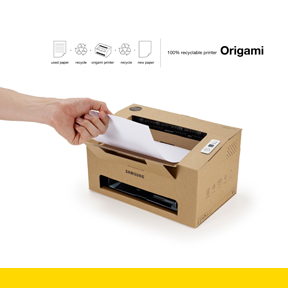 This printer was named "Origami" by its designers Min-chui Kim, Sang-in Lee and Seung-wook Jeong of Samsung Electronics. "Origami is a a personal mono laser printer with an exterior made out of 100% recycled paper," described by Brian Albright on his article at EngineeringOntheEdge.com. "The exterior provides the same durability as a plastic cover via an origami-based assembly method to house the print engine. The printer was one of several products that won a Gold rating in the annual Industrial Designers Society of America (IDSA) International Design Excellence Awards (IDEA) 2013 competition." On the other hand, TheRecycler.com described the Origami mono laser printer as "designed to combine the ideas of companies recycling the paper they use every day and disposing of old electronics equipment in an environmentally friendly way; with the device’s exterior being made of 100 percent recycled paper." "The designers claim that the exterior has the same durability as a plastic cover as it is made using an origami-based assembly method, i.e. folding the cardboard to make it stronger, with the print engine housed inside." We couldn't help but be in awe with this printer. Although the design might be simple, we admire Samsung for finding ways on how they can execute their eco-friendly actions through designing such a printer. And if you happen to be a go-green supporter, then why don't you try to look at this printer. Aside from that, you can also use eco-friendly toner cartridges so you can cut off your printing expenses and help save the environment at the same time. This guide will show you how to install Canon 137 toner cartridge on your Canon imageClass MF227dw laser printer when it runs out of toner. In buying replacement toner cartridge, make sure to get the correct model. Otherwise, refer to the manual that came with your printer. 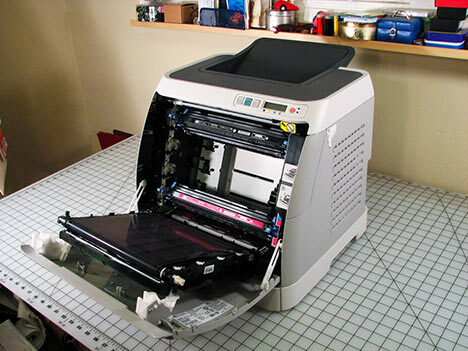 Step 1 - Turn off the printer and lift the top cover and toner cartridge assembly cover. Step 2 - Remove the old toner cartridge and put it on top of a scrap paper. Step 3 - Unpack the replacement toner cartridge. Remove the cover on green roller and remove the toner seal by pulling gently on the orange tab on the side of the cartridge. Step 4 - Hold the toner cartridge from both sides and shake it back and forth 3-4 times to spread the toner evenly on the inside. Step 5 - Close the cover and turn on the printer. Print a test page and you're good to go! TonerGreen offers affordable toner cartridge replacement for your Canon imageClass MF227dw laser printer. The Canon 137 toner cartridge from TonerGreen is professionally remanufactured to meet or exceed original cartridge specifications. It can yield up to 2,400 pages at 5% coverage. Retails at $22 with free shipping within Contiguous US, our toner cartridges will save you more money! Shop on TonerGreen.com and experience maximum saving on your printing supplies.